Welcome, this is a site for incurable romantics, or at least those who like My Five Romance languages – Portuguese, French, Spanish, Italian and Romanian. Why bother dabbling in these five languages? 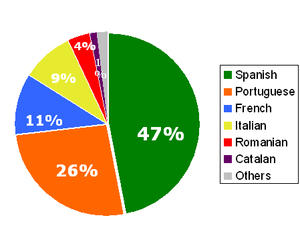 Well, according to various studies quoted on Wikipedia, 500 million people worldwide speak Spanish (400 million of them being native speakers), 240 million speak Portuguese (220 million natives); 200 million speak French (128 million natives); 62 million speak Italian (no breakdown available); and 28 million speak Romanian (24 million natives). So simply by following My Five Romances, soon you will be able to communicate with 1030 million people. Imagine all the marriage proposals you will get. Think of all the potential shags! There are so many places you could travel to where these languages are spoken. Learning a language means learning about other cultures, which means discovering other foods, other great film makers and film stars, singers and musicians, poets and novelists… discovering other worlds. And over the next few years Portuguese is bound to be in the limelight as Brazil hosts the football World Cup in 2014 and Rio de Janeiro hosts the Olympics two years later. 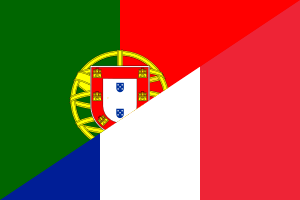 There will be a lot of emphasis on Portuguese in this blog. Because these five languages are closely related, the theory is that if you are good at one you should be able at least to gain some knowledge of the others. That’s the theory. What happens in practice could be a different story. We’ll see. The thing to do is have fun finding out. I hope you will enjoy the journey with me. Interesting idea for a blog! I look forward to reading your updates.